Despite legalization of recreational marijuana sales earlier this year, Fresno remains one of the communities wherein cannabis-related activity is still banned: No recreational sales, no medical sales, no commercial growing, no testing, no distribution, no manufacturing. Residents can grow indoors for personal use or if they are a caretaker, but that’s it. Still, officials know of more than 70 unlicensed sales operations in the city. Law enforcement agencies are stretched thin, however, so they have to prioritize their time and resources. 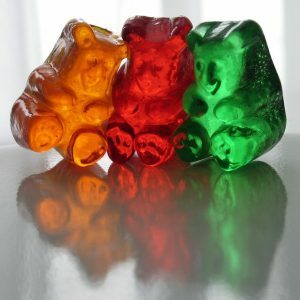 They recently focused their efforts on one specific dispensary, according to High Times, which was reported to be selling high-potency cannabis candy wrapped in packaging that was appealing to children. Agents seized 150 pounds of the candy and more than $200,000 after a two-month investigation of the dispensary. Six dispensary operators were given misdemeanor marijuana citations. When it comes to sales of marijuana, which is still considered an illegal Schedule I narcotic under the federal Controlled Substances Act, 21 U.S.C. Section 812, it wouldn’t seem like packaging would be the top priority for law enforcement. However, keeping cannabis out of the hands of children has been a prevalent and important theme for everyone in the legalization process. No one on either side of the issue wants to see cannabis in the hands of children. Relevant restrictions have included keeping cannabis retailers a certain distance from parks, schools, and places where children regularly frequent, as well as making sure tax money is allocated for education and prevention programs geared at students. Further, regulations dictate that “packages and labels shall not be made to be attractive to children,” according to Medicinal and Adult-Use Cannabis Regulation and Safety Act Sec. 74. This is similar to cases involving cigarettes and branding that were deemed appealing to children, such as Joe Camel on Camel Cigarettes. The intent is to reduce the allure of cannabis to children or teens, or like it might be something they would enjoy. In the case of the cannabis candy, the packaging featured cartoon characters with silly names. Unlike cigarettes, candy is something children already consume, so there’s a real risk a child might eat the candy not knowing its true contents, which is something no one wants to see happen. Further, it was determined the candy was above the legal limit of THC for edibles. If there’s one thing our Los Angeles marijuana business lawyers want our clients to know, it’s that you must, must, MUST run your business cleanly and in compliance with all laws. We understand this can be difficult to do with city laws constantly in flux and a sometimes complex combination of state and local regulations, but naiveté is not a viable defense. We also know marijuana has a playful air to it, so silly packaging might seem harmless or in line with your brand, but that doesn’t mean it’s allowed. Our lawyers stay on top of the law as it forms, and we have extensive knowledge of regulations. We can guide you through basic business decisions so you don’t make simple, but costly, mistakes. Remember, cutting corners on compliance early on can cost you big time down the road.